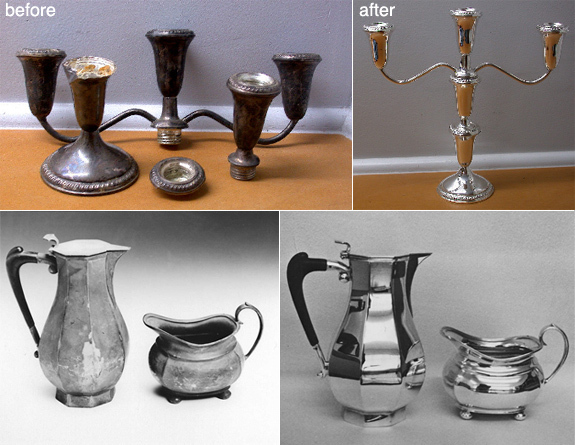 We dont just specialise in re-plating, we can also fix that old broken tea pot... or any damaged metal or silverware. Phone us for a no obligation quote to see how little it will cost to make your old favourite silverware look like new. We have a super quick service... nothing takes longer than a week. Plus we will send by courier anywhere in New Zealand.